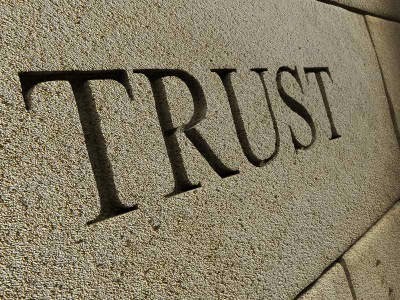 How are you going to bring back the trust that is gone? You probably have done something wrong to a friend that caused him to become cold at you. And no matter what you do, it is impossible anymore to bring back the kind of trust that he gave you before. It is a very sad situation that might lead to destruction of friendship. You have to be careful not to lose others’ trust towards you. And if you are already in the situation wherein you are alienated because of this, you have to show something big in order to gain back their trust which will take you time to do. Trust is so important and it is freely given to someone with a personal relationship with us. We give it to our friends, members of the family and everyone connected to us. If we trust someone, we are confident and we feel safe when we are with the person. It is sad to know that during conflicts, trust is often withdrawn to someone who commits mistake. The best thing to do is staying humble. If you have committed a mistake, learn to accept it and ask for forgiveness before things will become worse. There is nothing you can say to turn someone’s thinking or cause paradigm shifting. You have to show and prove that you are worthy of second chances and that you would like to continue your friendship or relationship with the person. This is how important trust is. Do not lose it. It is your life.